Hey everyone, Longtime lurker, first time poster. I've managed to negotiate a half day of fishing in Jupiter when the wife and I go down to see my in-laws on the weekend of the 13th of April. I was planning on doing a morning kayak rental somewhere down there, does anyone have any tips? I was going to fly fish, have an 8 wt and a spool of floating line and intermediate and a fly tying bench with enough materials to add me to a PETA watch list. My plan right now is to rent a kayak at Jupiter Outdoor Center on Indian Town Road and paddle around there. Thanks in advance. 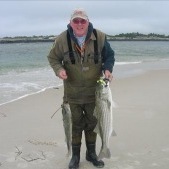 Can Northeast Fishing Tackle be used in the south? My wife and I are going to the keys in Sept. Looking for a good capt/guide to go with for tarpon / snook. I don't want to troll for anything. This could get out of hand for Tim and Otter in a hurry. How do you think they got the Herpes? July 11 (UPI) — A Florida man who installed a deer feeder and a game camera in his back yard captured photos of something unexpected — dozens of monkeys. Brian Pritchard said he camera he set up at his Ocala home has been taking photos during the past few days of about 50 rhesus macaque monkeys eating from his deer feeder. He said the monkeys climb the feeder and spin the plate to make corn shoot off in multiple directions to feed the whole group. “They’re vicious. They’re extreme. I mean, they get extremely nasty,” Pritchard told WFTV. He said the monkeys have taken about 250 pounds of deer feed in recent days. “Obviously the monkeys have it down pat. They don’t have to wait on it. They climb up the poles and they just sit there and spin it off the plate,” Pritchard said. Pritchard lives about four miles from Silver Springs State Park, where an estimated 200 rhesus macaques live after a group of the primates were brought to the park as part of a river boat attraction in the 1930s. Researchers said many of the monkeys carry the deadly herpes B virus. Two areas of the park have recently been shut down due to increased monkey presence after a family visiting the park last week captured video of their encounter with an aggressive family of macaques. Pritchard said he and his family are scheduled to move into a home on the Ocala property next week. He said he does not currently have plans to take measures against the monkeys. “As long as they don’t bother me or my kids, I’m not going to bother them,” he said. He said he is prepared to take drastic measures if there is any sort of “incident” involving the monkeys. “I’m not going to let a bunch of monkeys make me move,” he told CBC Radio. Went out the other day in search of the elusive clown knife. Was highly disappointed with no clown bites despite seeing over 20 of them gulping on the surface. Did manage this nice toad, my biggest so far this year. Headed to Melbourne Florida, any tips? A brief note, then a shower and to bed. We are back in Long Island, breathing damp but temperate air, as opposed to the thick goo that Floridians whimsically call "air." The bride is of Sicilian descent and would love to retire to Florida. She can discuss that with her next husband, not with this one. Bleah .... we'll go down in February or maybe March, when the rates will be up and the temperature will be down a bit. I have not managed to see the Ding Darling reserve when it's full of winter migrants, I'd like that. Fish. I had two trips with Capt. Dan Andrews, who I like a lot. We'd planned more, but he and I were both sick, and then he had an engine problem. Redfish were impossible to find. Snook were in good supply but very, very spooky. Little ones took live bait, one small snook was finally credulous enough to take a fly (a Squidley, tied by a gent who works at Norm Zeigler's shop) but the bigger fish wouldn't bite. He could see the damn fish, but neither scaled shad nor Squidley (his preferred fly) sufficed to interest a good snook, and it wasn't for lack of bombing the area with live scaled sardines. Miscellaneous trout, mangrove snapper, etc., but other then that one stupid snook, the only other fish on a fly that was new to me was a small amberjack. The fish we both really wanted was a damn nice tarpon that cleared the water just to get out of the way while we were tooling through Pine Island Sound; he estimated it at 80 - 100 lbs. The fish was totally out of season, in this area. We spent some time idling around, hoping the fish would show again .... nope. A fish that size would probably have needed heavier tippet and tackle then the flyrod at hand, an 8wt with 10' tapered fluoro leader ending in 8" of 30 lb. flouro as a tippet for redfish, but it would have been fun for as long as it lasted. More on the next post. I'm looking to get a heavy snook rod. I fish inlets and throw flair hawks and heavy swimbaits most of the time. Needs to be 8' with enough backbone to turn the head of a big snook. I've looked at the Stellar Lite SG1525FT80 and the Tidemaster TIS80HF, but I'm not sure if I want to push the budget that much for the tidemaster. Is it that much better? One more thing, it needs a tip soft enough to throw occasional live baits. But, before that, it needs to throw the artificials because that's what I use 90% of the time. I've also considered the Falcon Lowrider Salt LSS-8XH and the Teramar TMSX80XH, if anyone has any opinions on them as well. Edit: Does anyone know how the backbone is on the SG1525FT80 compared to the SG1530S80? Both stellar lites, but one is fast taper. Thank you. for selling golden tickets to heaven. This is Tito and Amanda Watts. Yes, his name is Tito. Tito and Amanda Watts, a Florida couple pictured below, were recently arrested for selling several hundred "golden tickets to Heaven" for $99.99 a pop. As you might have discerned, the items were later discovered to be fraudulent. The duo, who sold their divine product on the street, told buyers that the tickets were made of solid gold and guaranteed the purchaser a spot in heaven. Yep. Simply present the golden ticket at the pearly gates and you’re good to go. How you would take said ticket with you, we have no clue, but this wasn't how Tito and Amanda Watts crossed the line from ridiculousness into illegality. “People can sell tickets to heaven,” a Jacksonville police spokesman said. “But the Watts' misrepresented their product. The tickets were just wood spray painted gold with 'Ticket To Heaven - Admit One’ written in marker." "You can’t sell something as gold when it’s not," the spokesman added, and "that’s where the Watts crossed the line into doing something illegal.” You learn something every day. Police said that upon arresting the Florida duo, they also confiscated $10,000 in cash, five crack pipes and a baby alligator. Tito Watts, who is clearly 100 percent of sound mind, said in a statement: "I don’t care what the police say. The tickets are solid gold." "It ain’t cut up two by fours I spray painted gold. And it was Jesus who give them to me behind the KFC and said to sell them so I could get me some money to go to outer space." "I met an alien named Stevie who said if I got the cash together he’d take me and my wife on his flying saucer to his planet that’s made entirely of crack cocaine." "You can smoke all the crack cocaine there you want… totally free." "So, try to send an innocent man to jail and see what happens. You should arrest Jesus because he’s the one that gave me the golden tickets and said to sell them." "I’m willing to wear a wire and set Jesus up…" Good to know, Tito. His wife, Amanda Watts, said in her own statement: "We just wanted to leave earth and go to space and smoke rock cocaine. I didn’t do nothing. Tito sold the golden tickets to heaven. I just watched." There you have it. More profound words have likely never been spoken.